Bernard Works, a site developed by Polyteck in conjunction with Empyrean Developments and Morris+Company (the lead architect), has been named as winner of the Mixed Use (unbuilt) category in the 2018 New London Awards. Presented to Joe Morris, founding director of Morris+Company at the Guildhall, the award recognised the scheme for developing a creative community that lives and works together. Bernard Works was praised for its efforts to enhance the relationship between residential and commercial uses and reinforce the ideas of street, community and public space. 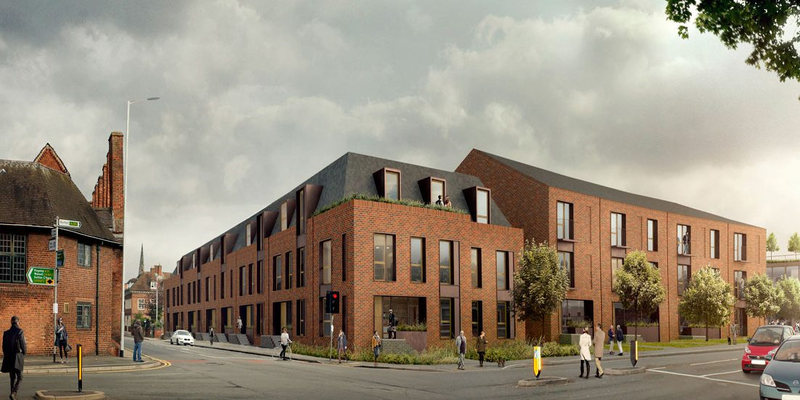 Polyteck partnered with Morris+Company and Empyrean Developments on the project, which includes 87 new homes and 12 live/work units, as well as 25,000 sq ft of commercial workspace, which has already been let on a long lease to social enterprise scheme The Mill Co Project. A new public park, pavilion, and cafÃ© will also provide an interface between local residents and the creative community. The complex will consist of a series of brick and steel framed structures that will house a combination of established companies and temporary artisan studio workshops for tenants looking to take advantage of the siteâ€™s close proximity to open natural areas and the main high street. As part of the construction, which is scheduled to commence in October 2018, Polyteck will use a panelised system for a modular build that will be combined with traditional units. The company will also utilise off-site construction techniques using light steel construction, combined with insulation products that will ensure a fast and efficient build â€“ both in terms of cost and energy usage. These methods have been tailored to the London landscape â€“ considering cost and space restrictions around transporting volumetric components in the city. Aimed at bringing young creatives and entrepreneurs to the area, the diverse mixed-use scheme features live/work spaces designed to incorporate both professional and personal lives when it completes in October 2020. The New London Awards, launched eight years ago by New London Architecture, is Londonâ€™s annual celebration of the best architecture, planning and construction projects that enhance the capitalâ€™s wider social and economic wellbeing.